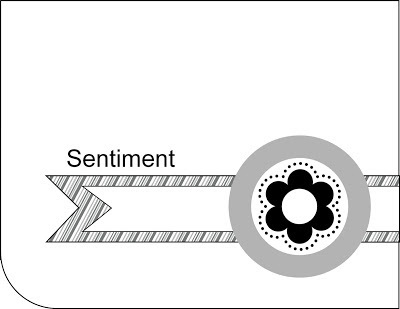 How about a simple sketch for this Tuesday morning? 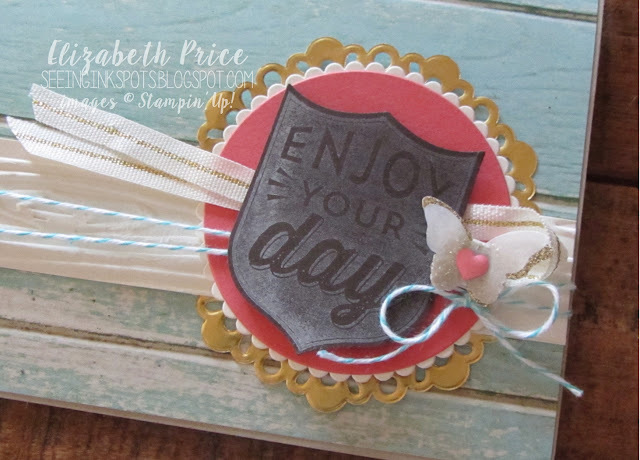 It's a sketch challenge that comes to you from Hand Stamped Sentiments and is so totally versatile. 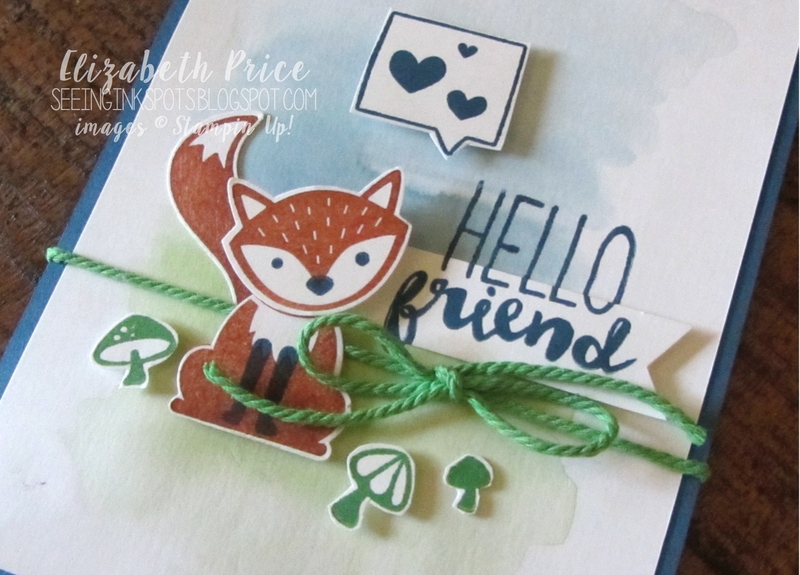 You can whip up something for this challenge that is fancy, or like my card create a little something which is made up of simple layers and a badge. The stamped Whisper White image on Early Espresso card stock is from the Badges and Banners set and cut out perfectly with the Best Badge Punch. Both products are brand spankin' new from the Annual Catalog and are way awesome. Talk about cute and quick--you've gotta love that! 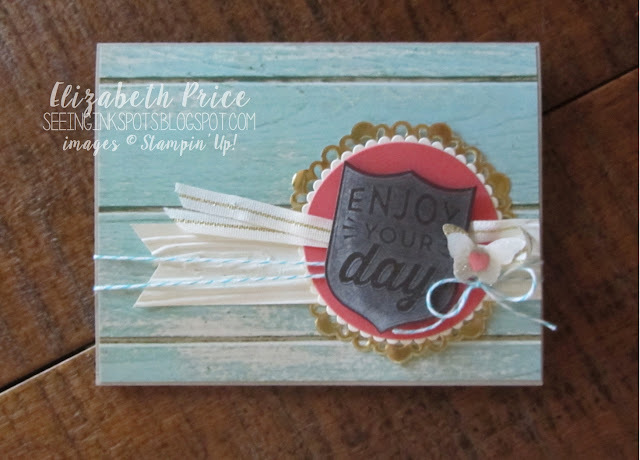 A couple more new things used for this card include the Serene Scenery DSP, the 2016-2018 In Color Enamel Shapes, 1/4" Natural Gold Ribbon Trim, and the Layering Circles Framelits. Guess what? 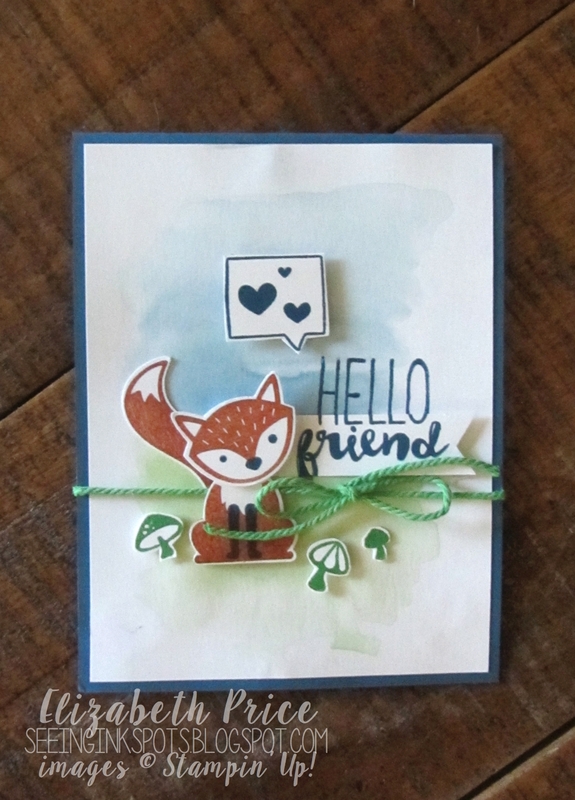 I have another Foxy Friends card to share. And ... I am sharing it for our Monday Montage Blog Hop! The Foxy Friends stamp set and Fox Builder punch are SO NOT ME but ... I can't seem to clear them from my stamp table. 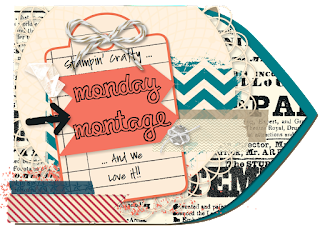 Sometimes you just have to order a stamp set that veers from your typical style and go for it. Well, I have done just that. 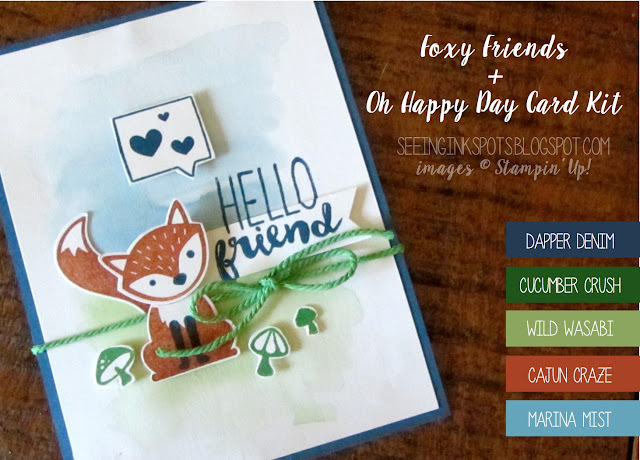 I can't get over how awesome the stamps from Foxy Friends set and how well they combine with the Oh Happy Day Card Kit.